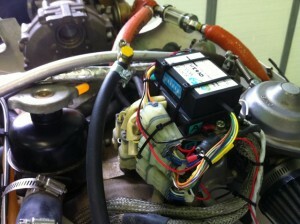 This last weekend I installed the Soft Start module for my Rotax 912S. Thought I would give a quick report and a couple of pictures. 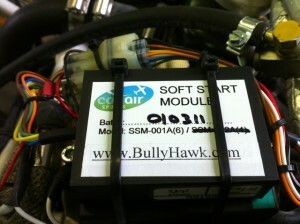 The main module install was fairly easy as it’s a plug and play setup with matching connectors for your ignition module and a single wire you hookup to the starter solenoid. The only hard part of the install is that you need to disable one ignition while the other is starting the engine with the soft start module. 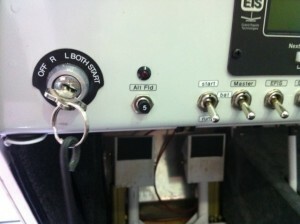 In my case I have a key switch with start so it does not have the option on it’s own to shut off one ignition for start. I simply installed a Y into one of my ignition kill leads and put a second switch that would ground out the second module for start. So the procedure is flip the switch to the start position, hit the key switch, once it starts, flip the switch to the run position which enables the second ignition module. The Soft Start module really does smooth out the initial start. Before I was getting periodic kickback or at least what seemed like kickback that the starter would power through. I have a new battery and good cables and grounds. So it does seem to work.